Showing results for tags 'sansara'. 2000 m2 Mainland Sansara South Islandia Parcel Nice! Reduced again! Dock slips for rent at Kuula Lake, sensible size at sensible price. All slips border unblockable protected land / water. Located at the heart of Sansara's Great Lakes systems, you can sail to pretty much all parts of the Sansara's Great Lakes systems from here. Even crossing the ANWR channel up North to the Heterocera continent. Some popular destinations or vacation spots you can reach or sail to from here; NCI Mare Secundus Waters Sea of Fables / Poseidon Island Ivory Tower Waterhead & Pooley Waters Governor Linden's Mansion @ Clementina Da Boom & several other historic regions Bay of Space Pigs waters Southern Sansara River Systems & Snow / Winter Biome Bay City Chamonix City Miramare Heterocera Continent and Many more! At 20 x 12m, with 150 prims / LI, you can pretty much fit any drivable boat you want. Bandit's sailboats, BBX's sailboats, some seaplanes, ReneMarine's sailboats, and even some of the bigger yachts. Come and check the spots out! 2000 m2 Mainland Sansara South Islandia Parcel Nice! Hello Friends, I have sold two of the parcels and have one left! This beautiful and quiet mainland sand and water property in South Islandia is for sale and comes with 686 objects for your building pleasure. The parcel is 2000 square meters in size. Reduced again! L$ 20,000 - L$10/m2 2000 square meters L$ 11,500 - L$11.2/m2 (2) 1024 SOLD L$ 12,500 - L$12.2/m2 (1 waterfront lot) 1024 SOLD Come by for a look! Location: http://maps.secondlife.com/secondlife/Kandinsky/86/87/22 Thanks for looking! 1024 976 Mainland Sansara South Islandia Parcels Nice! Hello Friends, These four beautiful and quiet mainland sand and water properties in South Islandia are for sale and come with 351/335 objects for your building pleasure. The parcels are 1024/976 square meters in size and can be combined upon request. Reduced again! L$ 10,000 - L$10.2/m2 (1) 976 L$ 11,500 - L$11.2/m2 (2) 1024 L$ 12,500 - L$12.2/m2 (1 waterfront lot) 1024 Come by for a look! Location: http://maps.secondlife.com/secondlife/Kandinsky/86/87/22 Thanks for looking! Hello Friends, These four beautiful and quiet mainland sand and water properties in South Islandia are for sale and come with 351/335 objects for your building pleasure. The parcels are 1024/976 square meters in size and can be combined upon request. L$ 15,000 - L$15.4/m2 (1) 976 L$ 16,500 - L$16.1/m2 (2) 1024 L$ 17,500 - L$17.1/m2 (1 waterfront lot) 1024 Come by for a look! Location: http://maps.secondlife.com/secondlife/Kandinsky/86/87/22 Thanks for looking! Mainland Sansara South Islandia Parcels 1024 Nice! REDUCED! Hello Friends, These four beautiful and quiet mainland sand and water properties in South Islandia are for sale and come with 351/335 objects for your building pleasure. The parcels are 1024/976 square meters in size and can be combined upon request. L$ 15,000 - L$15.4/m2 (1) L$ 16,500 - L$16.1/m2 (2) L$ 17,500 - L$17.1/m2 (1 waterfront lot) Come by for a look! Location: http://maps.secondlife.com/secondlife/Kandinsky/86/87/22 http://maps.secondlife.com/secondlife/Kandinsky/91/36/22 Thanks for looking! Sansara South Islandia Parcels 1024 Nice! REDUCED! MAKE OFFER! Hello Friends, These four beautiful and quiet mainland sand and water properties in South Islandia are for sale and come with 351/335 objects for your building pleasure. The parcels are 1024/976 square meters in size and can be combined upon request. L$ 16,600 - L$17.0/m2 (1) L$ 17,500 - L$17.1/m2 (2) L$ 19,500 - L$19.0/m2 (1 waterfront lot) Come by for a visit and MAKE AN OFFER! Location: http://maps.secondlife.com/secondlife/Kandinsky/86/87/22 http://maps.secondlife.com/secondlife/Kandinsky/91/36/22 Thanks for looking! 2880 m² AMAZING PLOT!! EAST COAST SANSARA This great plot is located on the East Coast of Sansara, the largest and oldest continent in SL, it's a beautiful 2880 m² waterfront (988 prims) with Linden Water Access in the very quiet and peaceful region Bassenthwaite. Asking L$28,800 (L$10/m²) but feel free to make an offer. Come and TAKE A LOOK! http://maps.secondlife.com/secondlife/Bassenthwaite/57/240/24 For further details please contact inworld EdgarSchvarz Resident or SilvinaWild Resident. sale!!! SALE! 48h Special Offer: 2880 sqm, 988 prims, L$24K!!! 48h SPECIAL OFFER: 2880 sqm NICE PLOT!! East Coast Sansara, Region Bassenthwaite, Waterfront with Linden Water Access Bassenthwaite is located on the the East Coast of Sansara, the largest and oldest continent in SL. 2880 sqm - 988 prims - L$24,000 (L$8.3/m2): http://maps.secondlife.com/secondlife/Bassenthwaite/54/236/24 Come and TAKE A LOOK! Price was L$28,800. 2880 m² GREAT PLOT!! EAST COAST SANSARA This wonderful plot is located on the East Coast of Sansara (the largest and oldest continent in SL) it's a beautiful 2880 m² (988 prims) Waterfront with Access to Linden Waters in the very quiet and peaceful region Bassenthwaite. Asking L$28,800 (L$10/m²) but feel free to make a counter-offer. Please come and TAKE A LOOK! http://maps.secondlife.com/secondlife/Bassenthwaite/57/240/24 For further details please contact me here or inworld. Counter-offers are accepted! 2880 sqm GREAT PLOT!! EAST COAST SANSARA East Coast Sansara, Region Bassenthwaite, Waterfront with Linden Water Access Bassenthwaite is located on the the East Coast of Sansara, the largest and oldest continent in SL. 2880 sqm - 988 prims - L$28,800 (L$10/m2): http://maps.secondlife.com/secondlife/Bassenthwaite/59/239/23 Come and TAKE A LOOK! 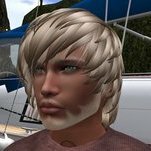 If you have a good counter-offer just let me know here or inworld. I can lower the price!! 2880 sqm Plot, EAST COAST SANSARA Mainland, East Coast Sansara, sim Bassenthwaite waterfront with Linden water access - 988 prims - L$28,800 (L$10/m2): http://maps.secondlife.com/secondlife/Bassenthwaite/59/239/23 Bassenthwaite is located on the the East Coast of Sansara, the largest and oldest continent. If you have any questions or a counter-offer, please don't hesitate to contact me! http://maps.secondlife.com/secondlife/Hogadon/172/24/101 Parcel for sale, On a Linden road - 2048sqm for 5000L$, OR BEST OFFER! Lowest land price in the area for size, quiet and out of the way, perfect for businesses, homes or other land interests!